Regex is an advanced, efficient, standard and widely used method of text parsing. Regex is not only a text, it is also a piece of code representing a match logic. This regex is able to match any html tag, even not normally enclosed tag. 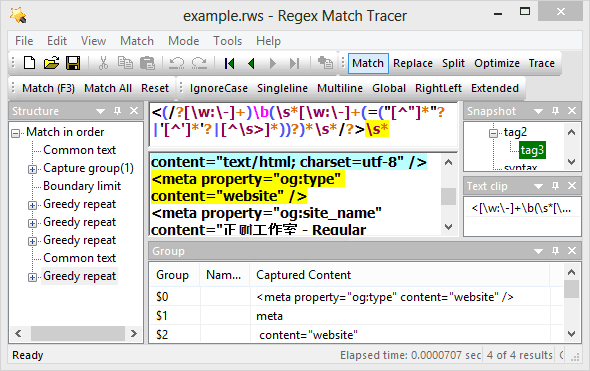 It becomes more easy and convenient to write a long regex with Regex Match Tracer 3.0.